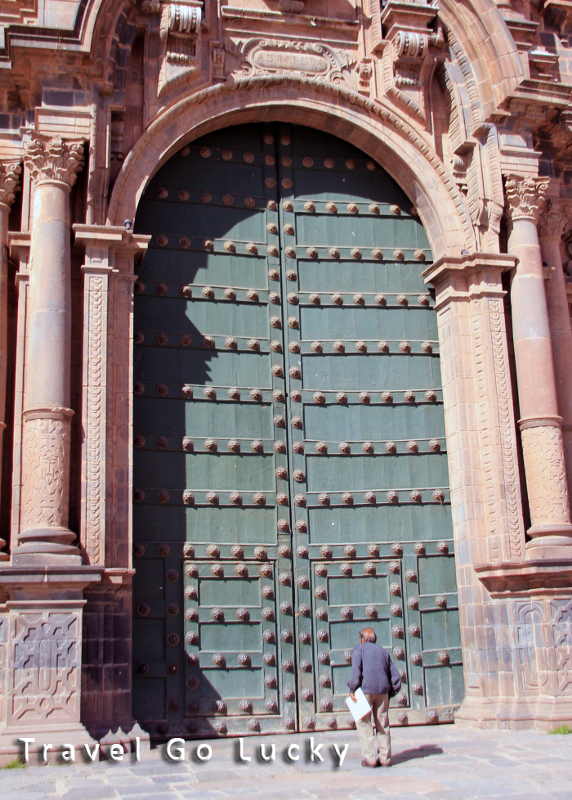 After seeing so many wonderful sights in Bolivia it was time to continue the journey into Peru. 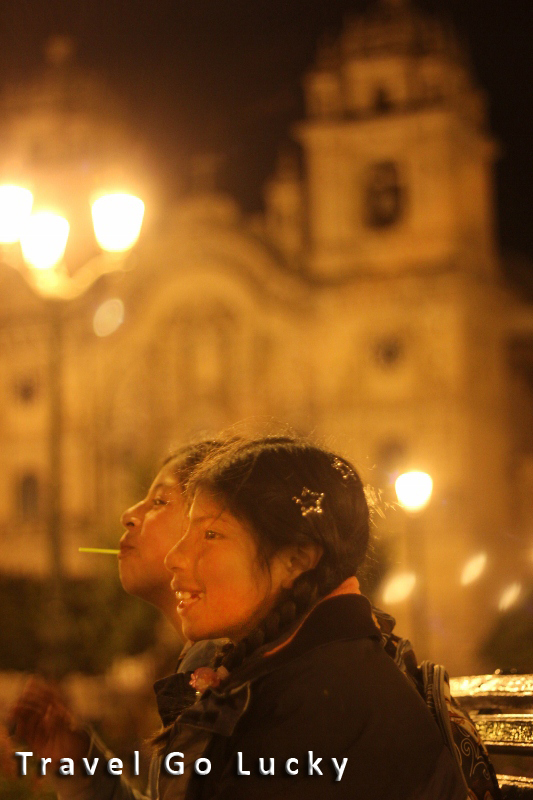 We boarded another early bus ride leaving from La Paz, Bolivia with our next destination of Cusco, Peru. It was a beautiful scenic ride through the mountains and the mist of the Andean Altiplano. 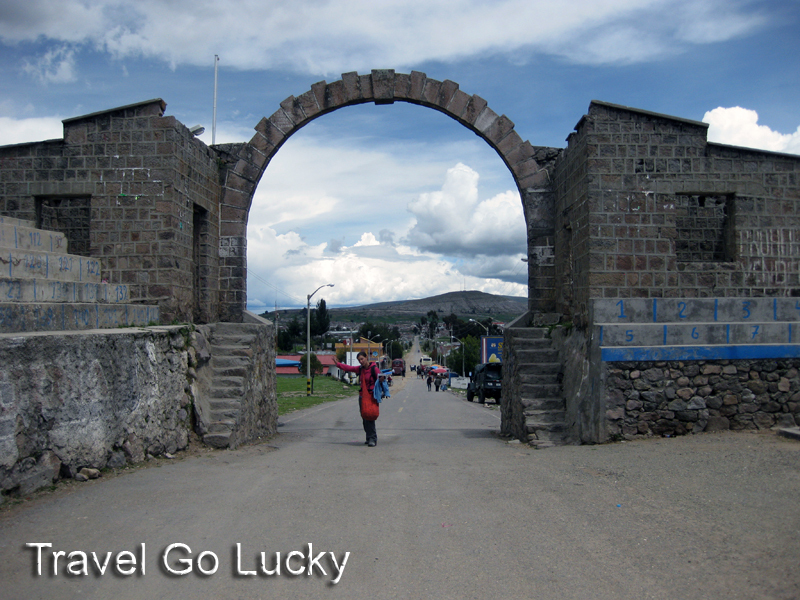 About halfway through our drive we had a ferry crossing once we reached Lake Titicaca. Adam and I were both really excited to be able to see Lake Titicaca because it’s the highest navigable lake in the world. While our bus was in line to be ferried across the lake, Adam had an opportunity to grab a bite to eat with some of the locals and tried the lake trout. 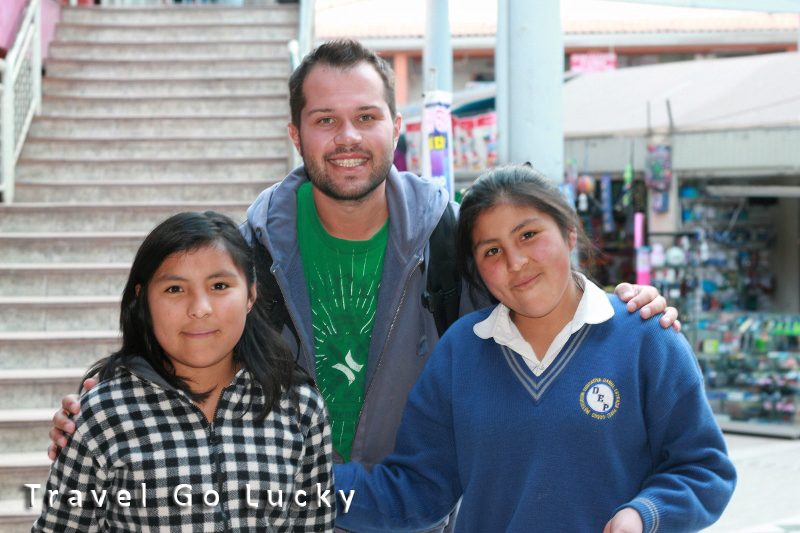 Our arrival in Cusco was a little different than what we were used to while travelling through Bolivia. 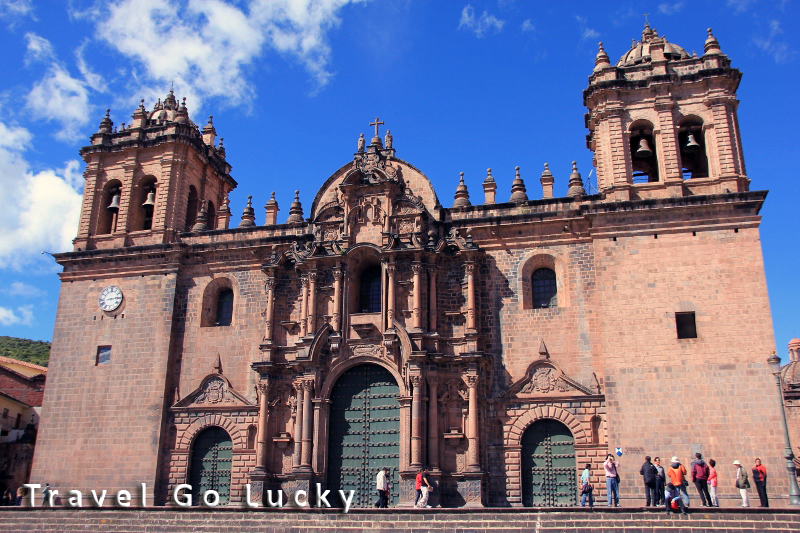 Since Cusco is where 99.9% of all Machu Picchu tours begin, people from all over the world who wants to visit Machu Picchu or hike the Inca trail start their journey here; they receive almost 1.5 million visitors a year. 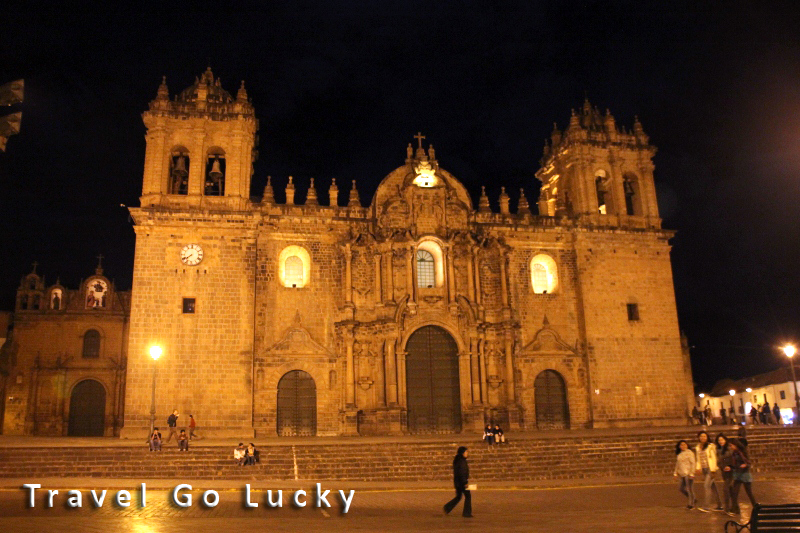 Cusco was the capital city of the Inca Empire (13th-16th century) and was declared a UNESCO World Heritage Site in 1983. 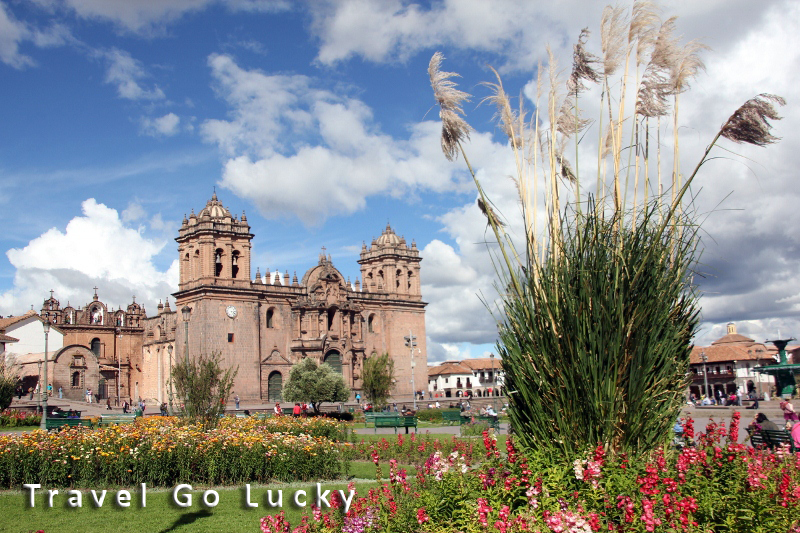 As headquarters to the Inca Empire, Cusco was an important agricultural region. 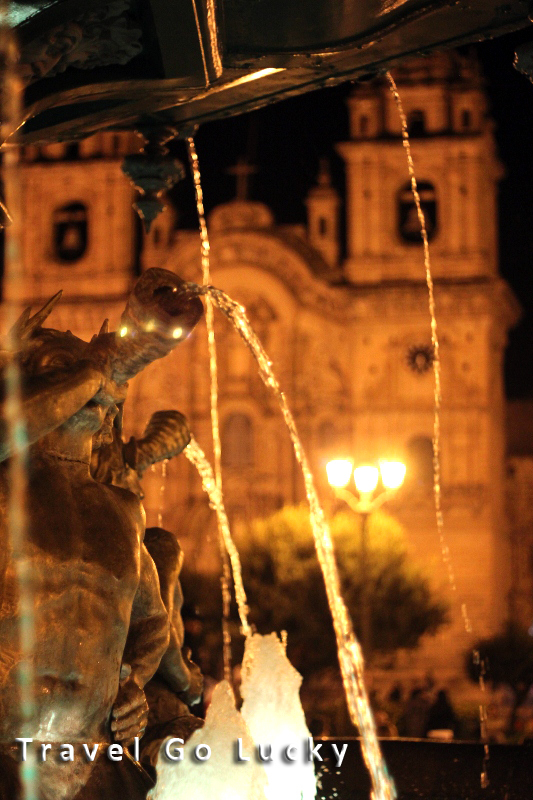 The city was absolutely gorgeous, around the main square where two beautiful churches with Spanish influenced architecture. We were very lucky because the weather was great for us to walk around and enjoy the square and the little shops. 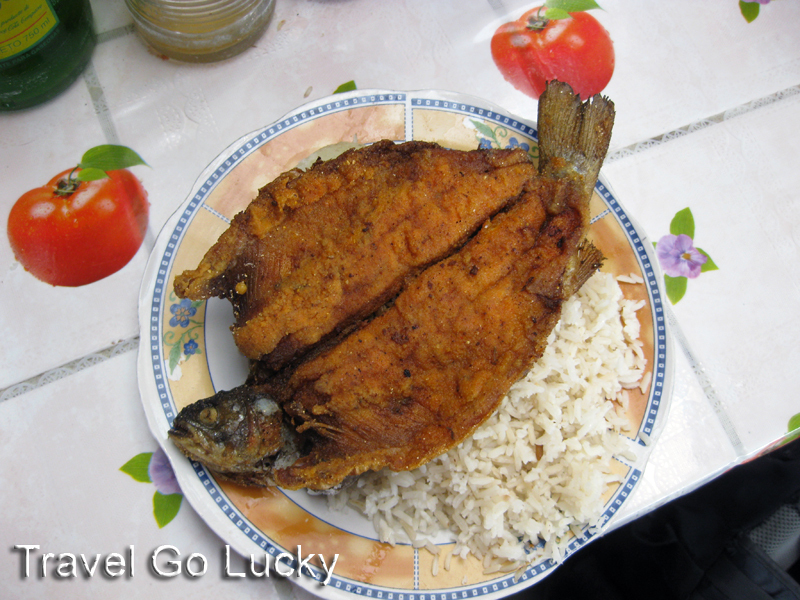 Since this city gets so many westerners there were plenty of choices when it came to meals. We walked up to one of the oldest parts of the city where the famous 12 sided stone lays in the walls. 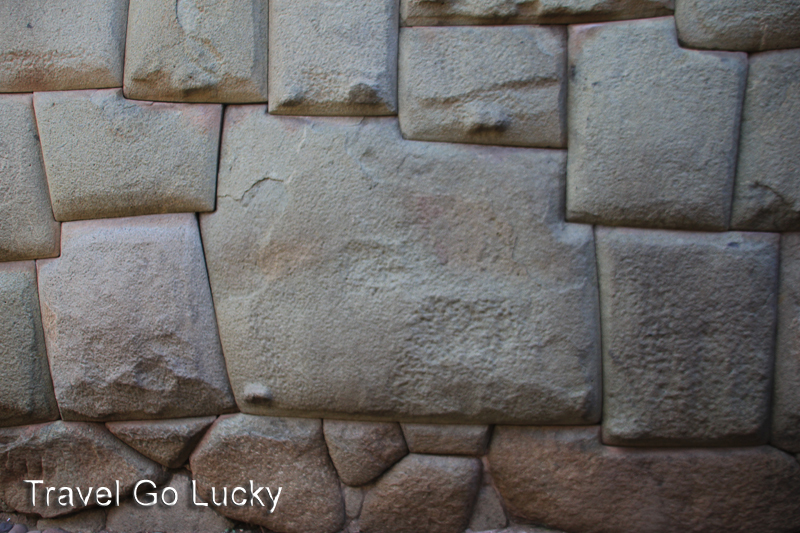 It is so famous because it represented the unmatched stonework created for the Incan elite. 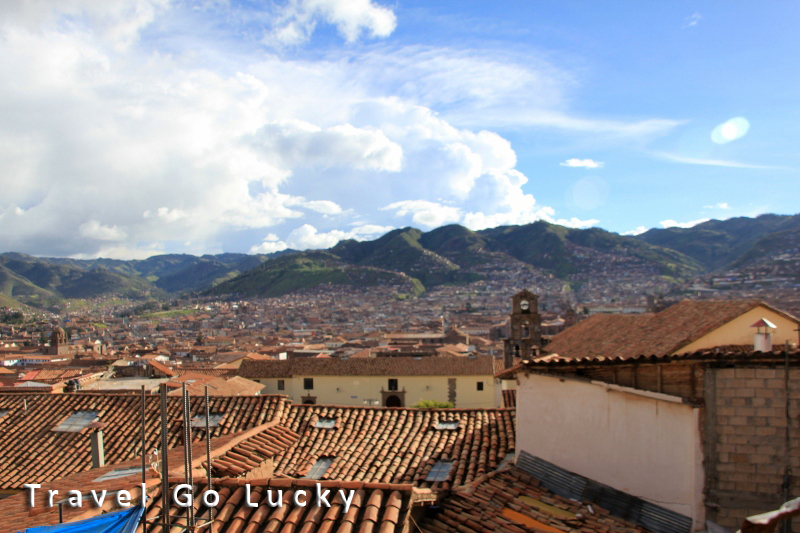 Many of the building foundations in Cusco are still in place from the Incas from over 700 years ago. Our hotel was situated away from the main touristy areas because we had to keep within our budget. So for meals we ate with most of the locals in a small indoor shopping mall/ street food vendor area. In this mall it looked as though all they sold was electronics, kitchen stuff and school uniforms. Some of the food I saw the people eating looked a lot different than I was used to, no part of the animals get wasted here. While enjoying breakfast one morning we headed over to get some fresh juice and two little girls were there enjoying too. Adam had struck up conversation with them and we all got to know each other. They were very sweet girls and we continued to visit them at the DVD shop they looked over for their mother before heading to school. We met many great people along the way. One evening while Adam was taking photos of the square at night I was approached by two other younger girls selling some merchandise and after an hour of talking with them Adam and I learned that they knew a lot about our American presidents. They really impressed us that two young girls no older than 12 could tell you the last dozen presidents we had in the states. 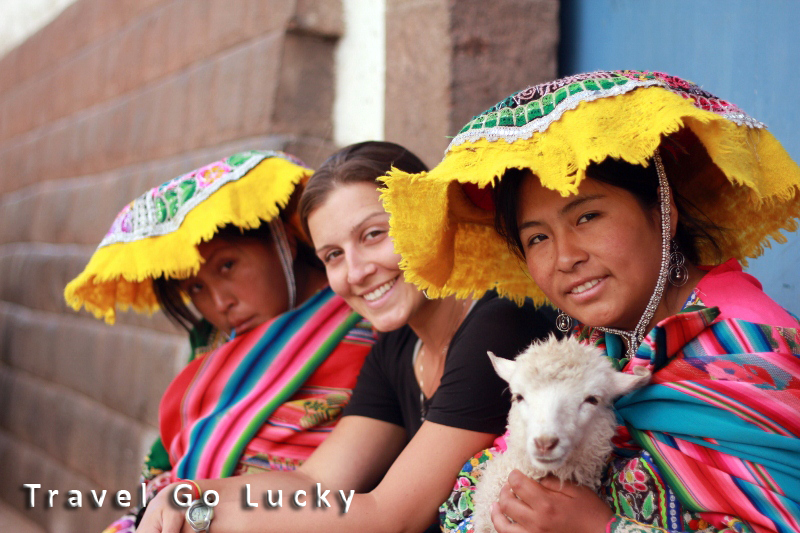 During our stay in Cusco, we booked our trip to Machu Picchu via the Inca Trail. We weren’t sure if we could find a way onto a trek because the Peruvian government limits the amount of people who do the trek each day, but we got lucky and found ourselves two spots on the twenty six mile hike on one of the most famous ancient trails that still exist in the world. 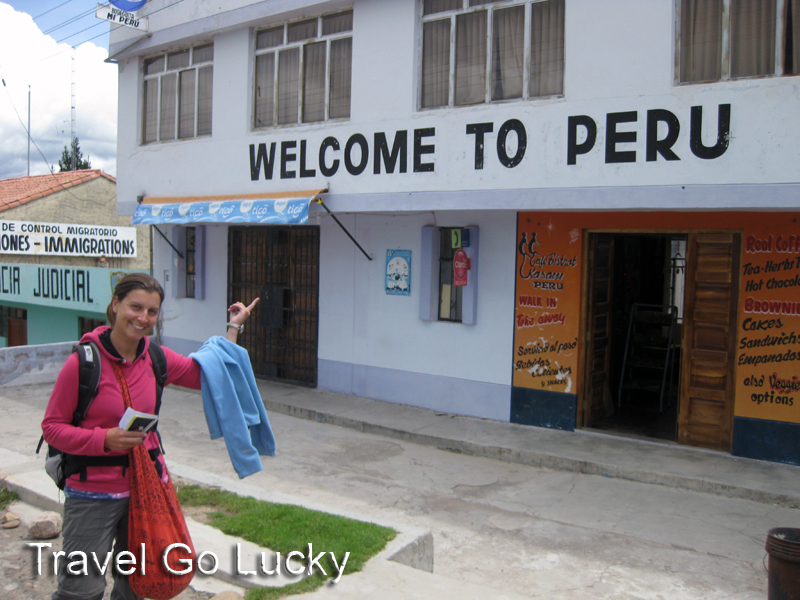 This entry was posted in Peru and tagged Cusco, Inca Trail, Machu Picchu, Peru, RTW Travel, Travel. Bookmark the permalink.